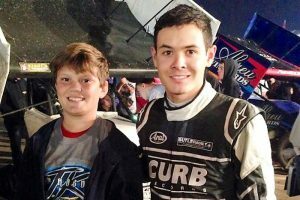 When I was younger, I remember going to my local dirt track with my Dad for the first time. I was instantly hooked when I heard the roaring engines and saw the cars sliding through the corners. Over the years, my love from motorsports grew. I would go to any race I could, seeing the World of Outlaws go four-wide or watching Daytona Prototypes duke it out at Laguna Seca. As my love for the sport increased, so did my interest in the engineering that went into these amazing machines. I was intrigued by the design and engineering of the cars as much as I was by the action and thrills. My favorite part of any race weekend is walking through the paddock seeing all the teams pushing their cars to the limits, trying to extract every tenth of a second they can from it. Everybody in the paddock shared one thing; the desire to win. It was during these moments that I realized my future would be in the motorsports industry. With this realization, I knew that I would have to work extremely hard to achieve my goal. This meant taking all the pertinent classes at my high school that I could, so that I can get a job in this highly-competitive industry. When I was selected to take part in the ‘Engineering 1’ course at my high school for the 2017-2018 school year, I couldn’t have been any happier. Getting a jump start with my engineering classes as a sophomore was just the step that I needed. I knew going into the course that I had to come up with a year-long project related to something I was interested in, and one that would provide a way to prove that I understood some of the engineering theories I learned throughout the year. 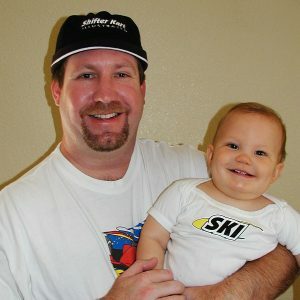 These blogs, diaries, and subsequent podcasts here on eKartingNews.com will become a chronicle of the events of my entire journey to building a competitive go-kart team here at Templeton High School. As I had mentioned, every engineering student must do a project that will eventually be shown at our annual THS Makers Faire held every May. While thinking of what to do, my teacher presented us with a list of ideas for projects, but I knew I wanted to do something different. I liked the idea of the robotics competition that a lot of high schools are doing, but robots just aren’t my thing. About that same time, my Dad had been talking with EKN Managing Editor David Cole and he mentioned that Purdue University has a newly-formed high school STEM program that races electric karts. Right then, I knew this was the project for me. Purdue University has been holding a competitive college racing competition for quite a few years, which is very similar to the Formula SAE program which started back in 1980. In 2009, Purdue wanted to extend this concept down to the high school level, so they formed a high school division alongside their college program. 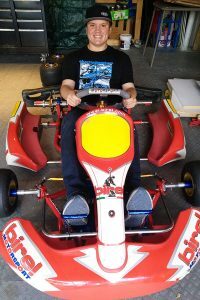 While college students have to design everything from the chassis on up, the high school program use commercially available karts as the base platform. The high school rules have spec motors, motor controllers, batteries, and tires and are very similar to competitive kart races, but they allows teams to purchase readily available parts so they can get up and running at a fairly low cost. 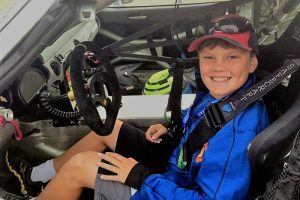 The best part of all of this is the fact that the evGrandPrix races are held at the Racing Capital of the World – the Indianapolis Motor Speedway – right between the IndyCar Grand Prix (road course) and the Indy 500 weekends in May. Engineering Design: challenges teams to go above and beyond with new technologies and ideas as it relates to engineering. Community Outreach: encourages teams to educate those around them about EV’s, their particular high school team and program and to help raise the necessary funds for the team and competition. Powertrain Efficiency: requires teams to design their kart for maximum distance and energy-usage. How You Finish in the race demands that these karts be fast. This year, I will be focusing on building the kart and making valuable connections so that this program can continue. 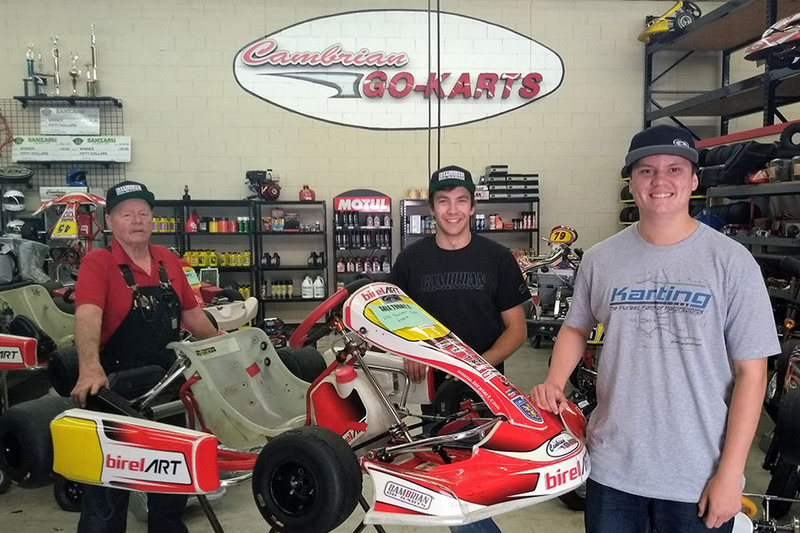 One of the most valuable partners I currently have is Cambrian Go-Karts. Don and his son Donald Jr. supplied me with a used Birel ART chassis that was a huge help to get this off the ground. The chassis is our foundation, and to have this in the shop was crucially important to taking the new steps forward. My dad and I drove up to Campbell, CA in December to meet all the amazing people at their shop. We brought the chassis home and started to get to work, but I’ll get into that in the next blog. In the next installment, I will detail the build and initial testing that needs to take place before I can turn in my year-long Makers Faire project.